National Arbor Day has been celebrated since 1872 when Americans planted one million trees in a single day. This year, we will celebrate our trees on April 27th. Check out these fun facts about trees in Colorado, why they are so important, and where you can score some to plant at home. Our State Tree is the Colorado Blue Spruce. It is known for its bluish-silver hue and its near perfect symmetry. It is considered an ornamental tree and can be seen all over the state. In early days when pioneers traveled here and settled, they were often in awe of these trees that were blue instead of green. Notice the beautiful trees around you and take a moment to appreciate the many things they do. In fact, trees are always on the job. They provide a better respiratory environment for us and give us shade from the sun and protection from the elements. Their presence reduces noise pollution while also providing a soothing sound that has such a calming effect on us that we have incorporated it into our white noise machines and spa background music! Trees also provide a home to many types of important, local wildlife and help facilitate our ecosystem. Also? They’re really fun to climb. And they hold our swings and forts and tree houses. 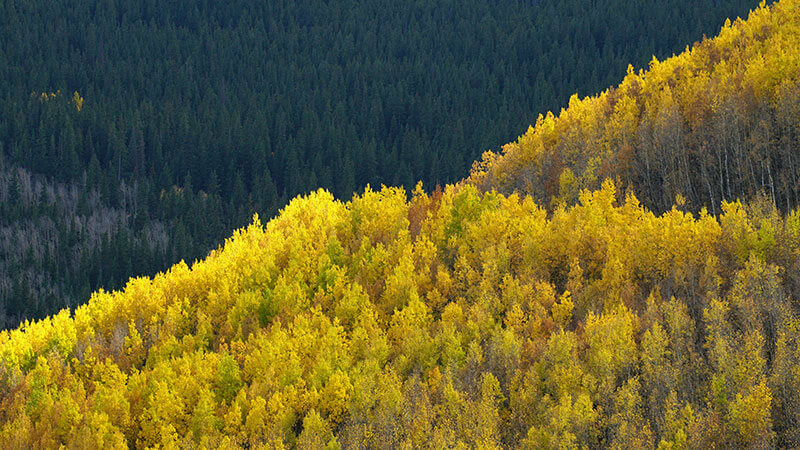 Many Coloradans take note of the beautiful Aspens when they turn bright yellow in the fall. Did you know that these hearty trees can survive forest fires that wipe out many other plant varieties? As a result, they are often used to repopulate devastated areas. Remember that you can celebrate Arbor Day in a variety of ways besides planting a tree. Take a walk outside, read a book about local plant life, donate to one of Colorado’s many state and national parks, or simply take note of how much life there is in the trees around you. The town of Parker is hosting a special Arbor Day event on Saturday, April 28th. Come out to Discovery Park from 9-11 a.m. for free seedling trees, fun family activities, and pancakes! Remember that the Arbor Day Foundation offers ten free trees to each new member, and you can find more about how to plant trees here in Colorado on the Colorado Tree Coalition website. Pradera is conveniently located along the Front Range, where there are opportunities for admiring many tree varieties. The luxury community includes hundreds of acres of open land for residents to enjoy. As the weather warms up, enjoy a walk, hike, or golf game!